I’ve been saying for a while now that there should be more coffee and chocolate combos on the market. It was a sad day when Lindt discontinued their Coffee Intense bar and it left us coffee fans having to search elsewhere for our coffee fix. It seems to be becoming a bit more of a popular ingredient now and when I heard these Cappuccino Whips announced on Twitter, I knew I would have a stop off at Marks to pick some up! 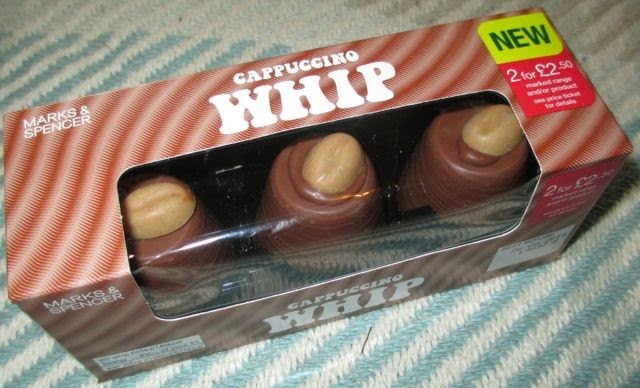 They are a twist on the original Walnut Whip, which has always been available in an array of flavours in Marks, but it is the first time I have seen a coffee edition. 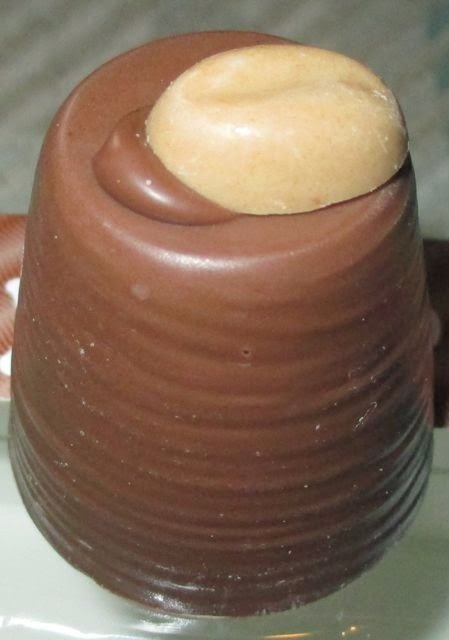 The Whip is topped with a white chocolate bean flavoured with coffee and has a coffee-cream flavoured whippy filling inside. To begin I picked off the bean and found it to be a rather sweet candy like tasty bite. More decoration that quality, but it looked pretty enough. The filling of a Whip is always very fluffy and moist, and this one is no exception. The Cappuccino Whip has lovely thick,fairly solid, milk chocolate that is sweet but melts sumptuously in the mouth. The coffee filling is sweet too but with a hint of bitter flavour and a creamy aftertaste. 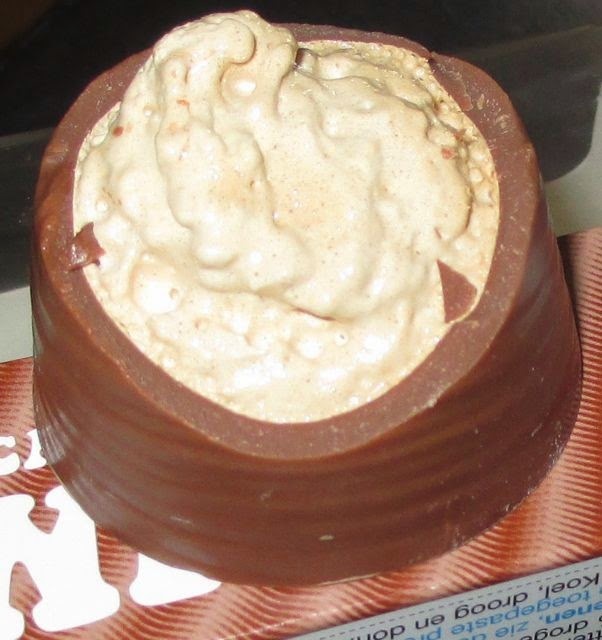 The chocolate works well with the coffee taste, and the whole thing effectively becomes a giant coffee cream. As a coffee lover I thought this was a lovely treat, and definitely a pack I’ll be picking up again and again. My only gripe was that when I got the box home I noticed there was a sticker on the pack that said: “2 for £2.50”, if I’d only realised this I’d have picked up a second box. I don’t know how much a singular box is, but I wouldn’t have needed much encouragement to buy another pack! I’m annoyed with myself for not spotting it sooner!